We are supplying a wide range of mosaic that is available in different finishes like polished, honed, sawn (rough), sand blasted, bush hammered and flamed. These stones are increasingly demanded in the market due to its fine polish and enticing patterns. We offer Mosaic Floor Tiles that are durable, resistant to slip and are suitable for use in high traffic areas. 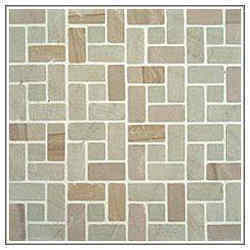 The range of mosaic floor tiles is available in different color shades and patterns, at very reasonable price. 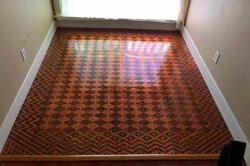 The mosaic tiles for floors can be availed in many ready to deliver designs, sizes and colors. - Size: As per clients requirements. With our in-depth knowledge of this domain, we are actively engaged in offering an excellent quality assortment of Mosaic Floor Tiles. - these can serve all requirements and purposes. We offer high quality Mosaic S-Pattern. We are engaged in offering a wide range of Mosaic Floor Tiles, mostly used for construction of floors to give solidity and attractive look. These are available in different sizes, colors and attractive designs. These Mosaic Tiles are created with high grade material, sourced from reliable vendors of the industry. Appealing masterpiece of our adept workers, these designer mosaic floor decorated with a plethora of delightful colors are truly a thing of beauty & joy for lifetime. PETRIFIED WOOD literally means wood turned into stone. It is a name given to fossilised remains of a tree or tree-like plants that have completely transformed to stone by the process of petrification. Our delivered range of Mosaic Floor and Walls is highly demanding in market for their custom-made shape, designs and colors. Our products are famous in market for their elegant look. These products are admired by the customers due to smoothly finished, precise size. Moreover, we make these products in different specifications that meet on clients demand.